Gaia Hotel is a 3* hotel located in Tulum, Mexico. It features 28 rooms and swimming pools. Gaia Hotel is a container hotel featuring modest accommodations with basic services. It has a swimming pool, parking and complimentary wireless Internet access. 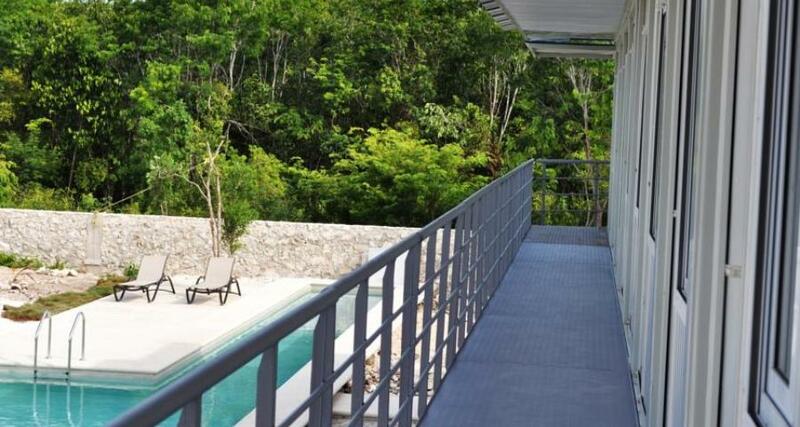 It is an excellent option for those seeking lodging in Tulum. It also offers a convenient location, just a mile from downtown and 4 miles from the archeological site and the beach. Please note that the front Desk is only open from 7:00 a.m. to 11:00 p.m.